This research from UCLA. What happened in Russia last night hasn't happened for 100 years on earth. 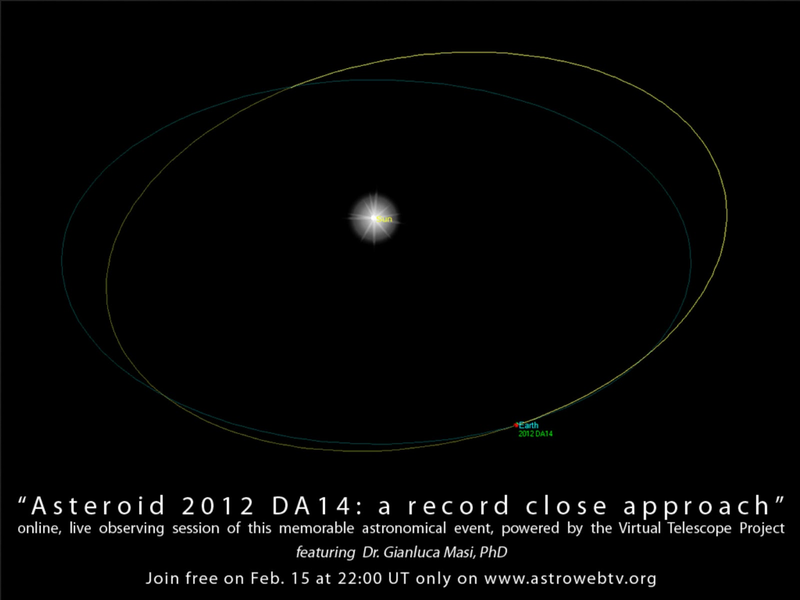 And we have not noticed a close flyby of a 15 story building by 15 story wide cube (Asteroid 2012 AD14 to put things in perspective), ever before. So is this a coincidence? 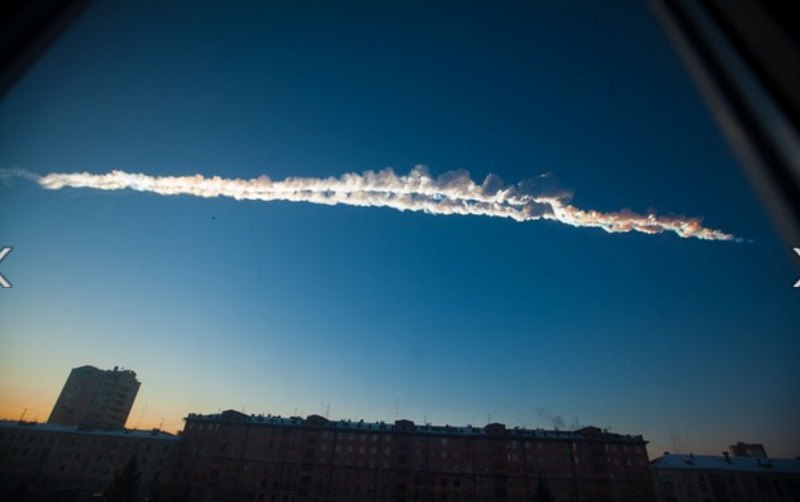 Well the asteroid that hit Russia (now call it a meteorite since it hit) odds are 1 day in 100 years or 36500 to 1, or .0027%. So that is one in 14600 odds, or .0068% chance on any given day. It is obvious, the powers that be will do anything to not scare the sheeple. There should have been warnings, not "don't worry". Stay near home, have your emergency supplies prepared. These warnings extend into tomorrow and the next day, eyes open, no fear. 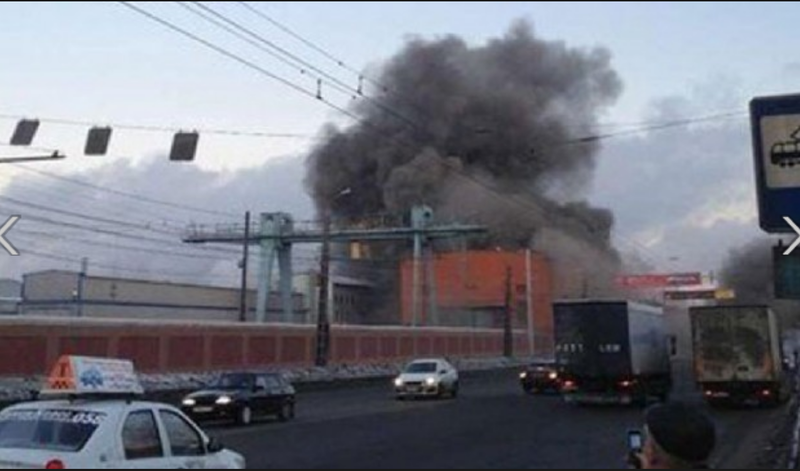 Above is the Zinc factory in Russia that had its roof and some walls blown out. Russell and his team think the answer to this riddle lies in a reduction of the debris that once clogged Oljato's orbital path. " 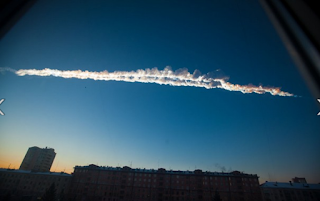 At one point in time Oljato shed boulders – mostly a few tens of meters in diameter – into its orbit and they formed a debris trail in front and behind Oljato," Russell said. "These impactors then hit other targets as they passed between Venus and the sun. The large amount of fine dust released by these collisions was picked up by the solar wind, producing the IFEs observed by Pioneer, and was accelerated out of the solar system." We find it strange that an object of this weight could come in at an arc without falling straight downwards. And where are the TV pictures in showing the bigger area where the so called Meteorite struck. If 20,000 rescue teams have gone to the region, what are they RESCUING and exactly how bad is the damage site? Moreover where were the images from Google Earth of this site. All these fireballs and Meteorites that have come to Earth in the past couple of days makes us think there has been a big cover up going on and people in Military and Government circles knew all about it, but didn't want to start a panic or evacuations of peoples. This whole thing has a stink about it. 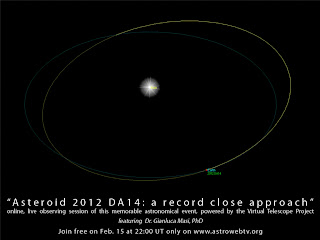 Yep, methinks we have alot more meteorites coming our way, methinks we are flying into an area of high asteroid density. Hence the unbridled greed, the money grab at all costs. Whatever cost in terms of social unrest is not considered anymore. Some big event, is driving this world class greed. thanks for correcting the math! And then the meteor strike in Cuba and San Fran. Wow. I guess they don't want to talk about the elephant in the room!